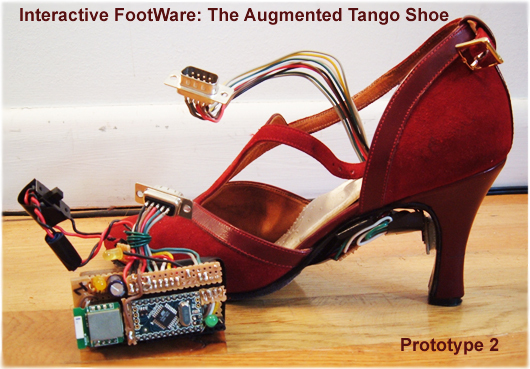 Conceptualized during an NYU class called New Interfaces for Musical Expression (NIME), the Augmented Tango Shoe sends data representing a dancer’s feet/leg gestures via Bluetooth to a computer. Specialized software sonifies the data into electroTango-inspired music. The ATS has been in hibernation for a few years but shall wake one day.